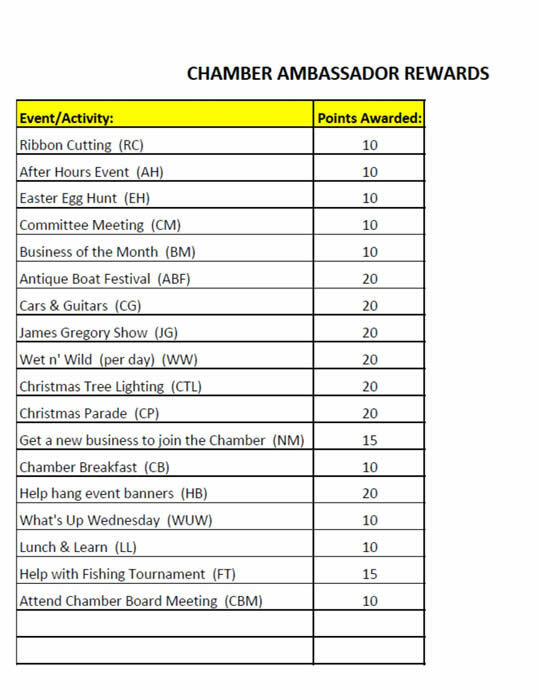 The Ambassadors’ Committee shall consist of a group of professional volunteers from the Chamber community whose primary role would be that of the public relations arm of the Chamber. They can best be described as “emerging leaders” of our community. They are present to say “Welcome” and/or “Congratulations” to new businesses and new Chamber members. The Ambassadors must be a member of the chamber, either through their employer or through an individual membership. The goal of the Ambassadors is twofold: (1) to build future Chamber and community leaders and (2) to provide the Chamber support through volunteer and outreach in our community. Hart County Chamber Ambassadors serve as the welcoming arms of the Hart County Chamber. The Ambassador Club is a service and networking program of dedicated volunteers who introduce prospective members to the Hart County Chamber and provide support support and hospitality through volunteer work with events. 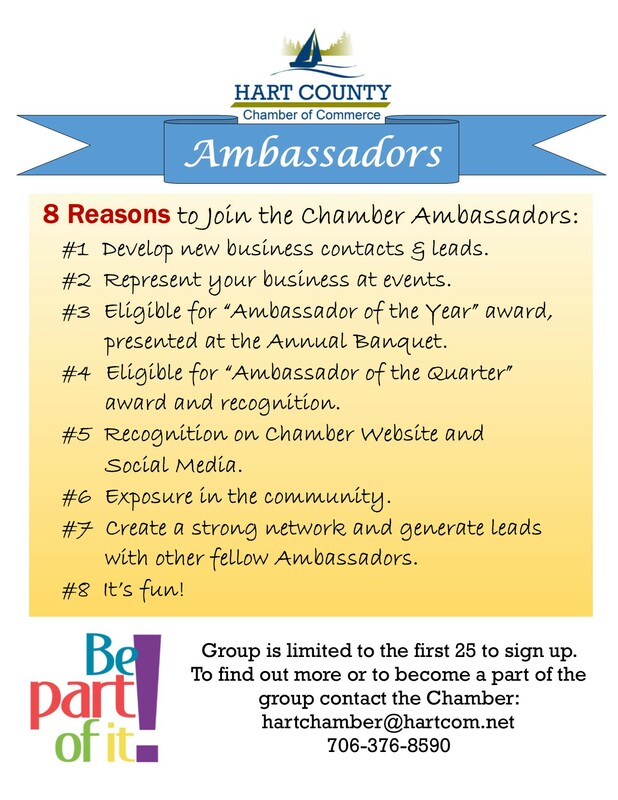 Hart County Chamber Ambassadors have unparalleled opportunities to build great business relationships, not only with each other, but with new and prospective members. You will see Ambassadors at ribbon cuttings, grand openings, and every other Hart Chamber networking event and function. In other words, the Ambassadors also bring the fun! We hope that you’re excited about what Chamber membership can do for you. It opens doors, creates networks, and improves your business and quality of life in our community. When you’re out and about in the community (we already know you’re a mover and a shaker! ), ask if the business is a Hart County Chamber member. If they’re not, please share the awesome benefits available to them as a member. While Ambassadors should be familiar with the Chamber to answer most routine questions, Ambassadors are not expected to be experts in all Chamber matters. Please contact the Chamber staff so we can get the new/prospective member the info they need.